You can find my review about the first book of the series here –> Politieserie | Murder in Ommoord. Recommended to read that review before reading the reviews of the sequels. The story of this sequel starts exciting. In a peaceful neighbourhood a house explodes. Suddenly. Roel hurries to the neighbourhood because his girlfriend Ingrid lives opposite the building that exploded. Prinsenland is a neighbourhood at the edge of Rotterdam. Besides the investigation of the explosion, Roel is getting older and is allowed to help the police now and then. Sadly a job like that means also that it can sometimes cross your private life. When Roel is taking Ingrid out for dinner, something crosses his life while he is not an official police officer yet. This makes the book quite exciting and let the young readers realize how the private life of a police officer can not always be private. When you are a police officer, you are a police officer 24/7. The main character in this book is Roel Westland. He is in graduation year of high school and helps now and then the police. He has met some police officers last year – Politieserie | Murder in Ommoord. He fell in love with a girl from his class named Ingrid and she is now officially his girlfriend. They go out a few times and this book is more about their relationship than the other sequels of the series. In short: this series is really nice to learn a bit more about the do’s, don’ts and things that happen in the life of a police officer. It gives you the feeling of reading a ‘behind the scenes’ book. 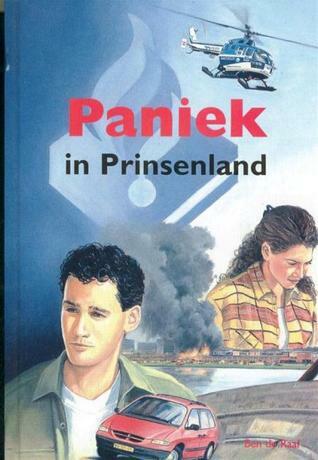 There is at the moment on air the police television series ‘Flikken Rotterdam‘ and sometimes that series reminds me of those books.